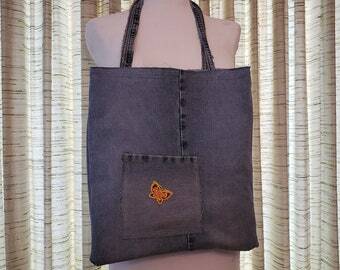 Made from a pair of sturdy ladies Levis jeans. 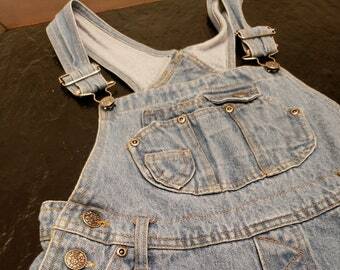 The straps are made from the seams of the pant legs. Featured are one inside and one outside pocket. 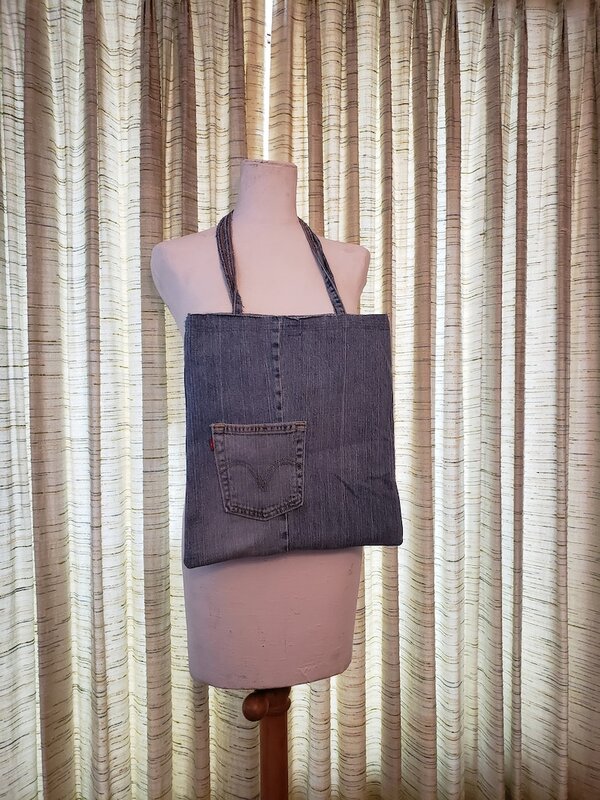 The pockets from the original jeans were re-purposed into pockets for the purse. The pocket on the front of the bag still has the signature red Levis tag intact. 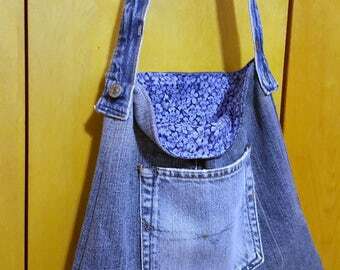 There will be fraying from the opening of the bag, as well as some light fraying on the straps themselves. The fraying will add character to the bag but will not compromise the integrity of the bag itself. It is about 13.5 inches deep and 14.5 inches wide.